How Power Tool Manufacturer can raise $$$…. Tools for many people are obscure and low investment that needs to be made to run their business. While it may not be eye-popping like e-commerce, power tool industry is around 200 Million Euro and expected to reach 250 Million Euros by 2020. Power tool industry includes electric power tools, Portable Power tools, Industrial Power tools, Hydraulic Power tools, Cordless Power tools, just to name few. While Asia is a major producer, European and Japanese Manufacturers hold significant share of high end tools. About 60% of tools are imported and “made to order” tools require higher lead time. Hence, in most cases, end users stock enough safety stocks to manage inventory risks. 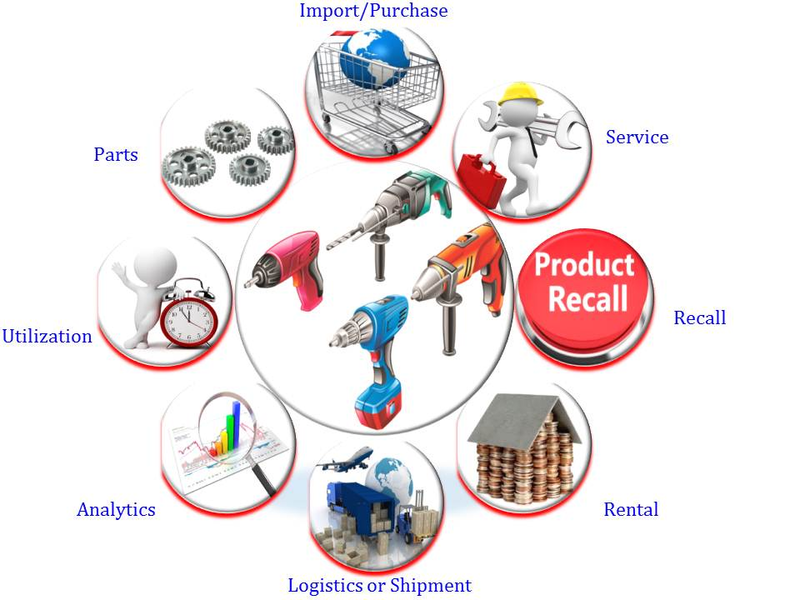 Power tool manufacturers in recent years have been hit from commoditization at one end and sagging demand of end user industries at another. While tools sale is what has been the primary focus of revenue generations all these years, of late many of the tool manufacturers are realizing the need to address after sales. 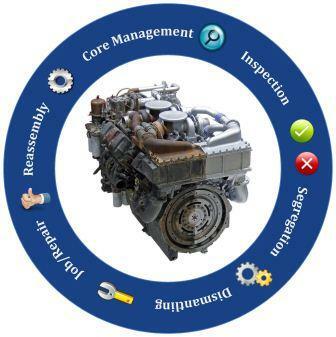 The companies are realizing a need for a 360 degree view on tools utilization, tools movement, availability, maintenance, component life cycle, service history, segment realization, performance across different markets and performance across different applications. Even the end users of tools are realizing the need to manage their tools operations from cost and utilization perspective. A tool manufacturer or an end user like an OEM need real time data of Distribution channel visibility, Tools uptime, Challenges of end users, Warranty Management, Support, Training and Replacement economics. How System / Process can help to overcome these challenges? 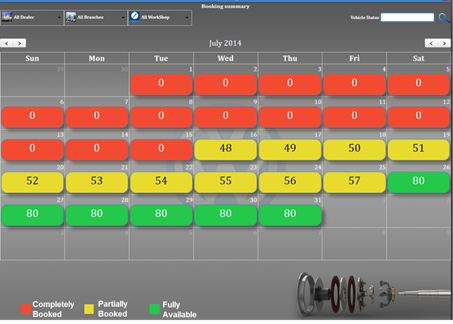 Alerts on preventive, calibration and other types of services based on type of power tools. Complete history of service done, parts replaced, complained faced along with first hit rate, repeat complaints, component failure rate etc. Implementing centralized system with features like, Complete Inventory visibility, Logistics features, Import/export, Warranty, AMC, Ticketing system, Resource visibility, Population visibility, History, Planning & forecasting-etc. and along with KM system will have major impact on process and revenue improvement. You cannot afford the breakdown of critical machines, where stakes are high. Therefore it has to go with maintenance and repairing cycle regularly to keep it in working condition. Traditionally, we plan periodic maintenance services to avoid any costly breakdown to some extent. But breakdown still happens, because running condition of each and every machine is different. Sudden breakdown leads to firefighting and re-planning of all activities. Identification of the defect in early stage will help in planning efficiently to order parts, schedule and complete job without suffering breakdown. But, how to detect defects in early stage? The only way to identify defect, is to get critical diagnostic data hourly or daily basis, analyze and suggest corrective action. Practically, it is very costly affair to take diagnostic data manually every hour or every day and send it for analysis, but technology had made it easier and affordable. 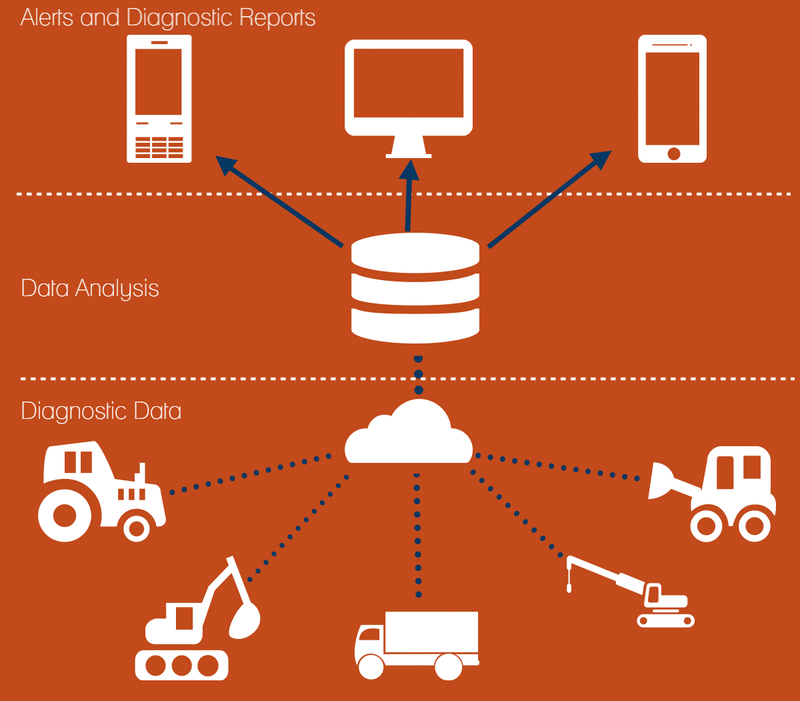 Instead of taking diagnostic data manually, an interface device can be connected to the machine sensors to collect vital diagnostic information such as vibration, temperature, circuit analysis, running hours of critical components such as Engine, electrical system & hydraulic system and can be sent to central server via GPRS on a defined frequency. The server can analyze data and send alerts to concerned service engineer or workshop, if any of parameter is going beyond the prescribed range. 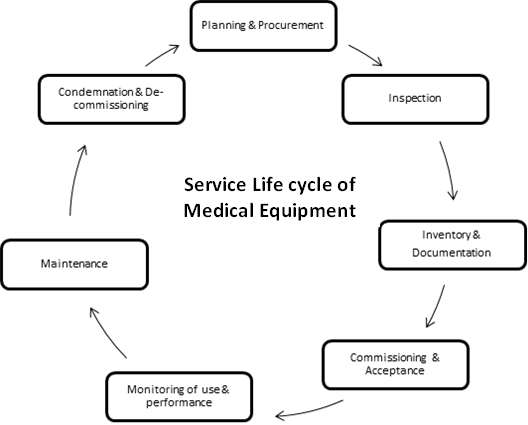 In addition to it, various analysis reports can be generated to determine health of the machine and probable period of failure of critical parts that can be used for service planning and parts requirement by the workshop. Your wrist watch sending your heart pulse, temperature and BP to your doctor and medical record, on exceeding set limit, is an example of Internet of Things (IoT) and I’m sure you are hearing about Internet of Things from long. But still many of us need more clarity on what it is? Is it networking of the things? It is communication between heterogeneous devices? Is it Machine to Machine Communication? Is it one step ahead in automation? In fact, it’s ALL of the above! We all know that today’s internet devices are connected to the network based on unique IP Address allocated to the device. Therefore devices are able to communicate with each other. But lets us expand the base from internet connected devices to other physical things and see how other things can become part of it. 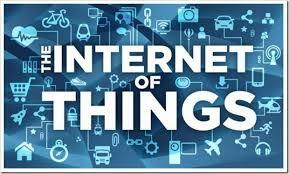 The solution created from permutation and combination of all above is nothing but Internet of Things, That’s it. You can no longer keep your ‘Bay Management’ at bay! 15 bizmen set to return high-end cars after bad service to one of them (http://goo.gl/zkIV6y ) & Man Furious with BMW M6’s Faults and Bad Customer Service Smashes it at Frankfurt Show (http://goo.gl/iymSjS) are only 2 reports out of 20 million+ results that Google News fetches for you when you type ‘bad service of cars’. This in itself is an indicator of the automotive customer’s melancholy, which is the result of ‘bad service’. Can automakers risk the anger of an unhappy customer in this digital age? When we know “A happy customer tells a friend & an unhappy customer tells the world” & 78% of consumers have not made an intended purchase because of a poor service experience (Source: American Express Survey’11). It’s been proven umpteen number of times that, effective bay management leads to better service & better service delights customers by exceeding theirs expectations. $ 100 Billion strong Remanufacturing (REMAN) industry is not new to the World. It’s been active since Second World War, when only Army equipments were remanufactured. But, it’s potential has been realized in the past decade, as WCMs (World Class Manufacturers) started focusing on Remanufacturing as profits from their new product sales started shrinking. Many WCMs are already yielding good profits from Remanufacturing. For example, in 2013, Cummins, a global leader in engines and related technologies, had 3,000 employees working from nine global facilities, contributing $1 billion to total sales of $17.3 billion. Automotive giant Renault has also expressed its growing faith in remanufacturing, as has Caterpillar & GE, to name a few. Without addressing the above challenges, it is difficult to realize the benefits of Remanufacturing. Companies that successfully implement re-manufacturing strategy will be the ones who sustain growth and success in the future. The fast growing reach of the smart devices such as mobile phones and tablets to the individuals, has forced the solution experts to look for extending the accessibility of business application to these devices. Some of us start looking for the companies who are in mobile application development, without analyzing, if we really need a native mobile application or not. We normally mistake the mobile compatible website with the mobile application. Through mobile compatible web sites. Native mobile app or mobile compatible site? The native applications usually use internal resource of the device such as processing power, storage memory, GPS, Camera, SIM & NFC and operate system specific. Therefore you need to create different versions to support different operating systems like iOS, Android, Symbian , Windows mobile or Blackberry. On the other hand the mobile compatible website is just a set of mobile compatible web pages that are directly accessed via web browser. 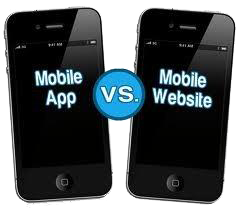 Practically 95% of the business applications do not need native mobile application, but need a mobile compatible website. In fact some of the latest browsers allow accessing few mobile resources such as GPS and Camera. Thus you need not develop a native application just to access GPS or Camera. To differentiate the need, let’s take some scenarios. You want your management to approve your requests; it could be leave approval, purchase requisition approval, budget approval, order approval, etc. If you’re looking for any such application listed in Scenario 1, then you need mobile compatible website rather than native mobile application. If you are looking for any such application listed in Scenario 2, then you need a native mobile application.